"I always tell people not to swerve." 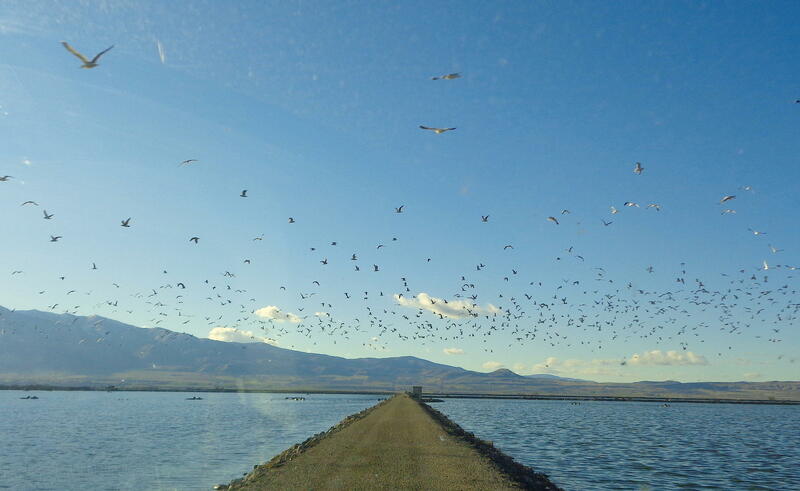 Gulls scatter as Logan's wastewater treatment manager Jim Harps drives on the causeway that separates Logan's sewage lagoons. To honor my family tradition and to give thanks for the amazing systems that clean up our water after it’s been through our bodies and our lives, Utah Public Radio presents the Brown Friday episode of The Source, stories of wastewater and the scientists, bacteria and birds that love it. 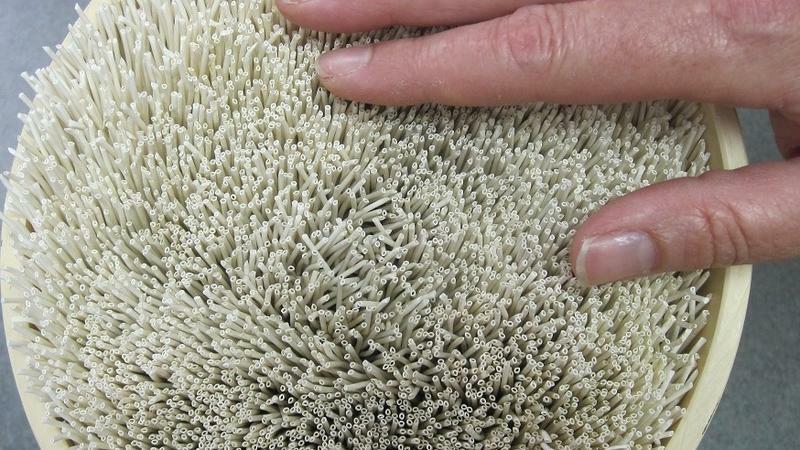 Pretty much everything we touch turns to wastewater. If we drink it, wastewater. If we wash our clothes in it, wastewater. If we water our fields with it, wastewater. Why do humans have such a massive impact on the water cycle? Michelle Baker is a biology professor at Utah State University. She doesn’t claim to be a wastewater expert, but she definitely knows the importance of understanding what happens to the water that passes through our bodies and our lives every day. The 88,000 or so people served by the City of Logan’s sewage treatment plant produce over 12 million gallons of wastewater per day. This is all the water that enters the city sewer system not just from every toilet in the region, but also washing machines, showers and kitchen sinks. Logan’s wastewater treatment plants consists of manmade ponds called sewage lagoons and manmade wetlands called polishing ponds, where I guess the water gets so clean it shines. After all that, the water can be used for irrigation, but most of it eventually flows into the Bear River at Cutler Reservoir, where a monitoring station shows that it still has way too much ammonia and phosphorous to be considered clean river water. With a growing population, the city of Logan won’t be able to meet state standards without upping its sewage treatment game. USU bioengineering researcher Anna Doloman looks after the sewage-eating bacteria in her "kindergarten." Wastewater treatment is a complicated process that’s expensive and energy intensive. But it’s cheap and easy for the oldest civilizations on Earth -- bacteria. Bacteria are built to break down organic matter. Billions of different types of bacteria live in our sewage treatment plants, where they eat human waste and produce methane as a result. And methane is a high energy gas -- it’s considered an alternative energy source to fossil fuels. Therefore, the bacteria that live in our wastewater do a double service of processing our waste and creating sustainable energy. To find out why there isn’t a methane-burning power plant next to every sewage lagoon in Utah, Jennifer Pemberton visited with Anna Doloman -- a Utah State University bioengineering student from Ukraine. Big Cities have gotten good at testing and treating wastewater. But the sewers below Utah’s urban areas still carry small amounts of chemicals that shouldn’t be there. What’s being done to address that? Ross Chambless spoke with Salt Lake City’s wastewater manager. A lot of people don’t know what happens to water after it gets flushed down the toilet. In Logan, it ends up in a man-made pond, where UPR’s Jennifer Pemberton went on a bird-watching field trip for this month’s episode of The Source. The water cycle in communities across Utah is pretty straightforward. Water comes out of creeks and reservoirs, serves some purpose, and is put back into the chain further downstream. But as Matt Jensen explains, as the state’s population continues to rise, what we put back into the chain often comes with more than just water.